In Farming Simulator 17 transporting Fertilizer and Seed is not much easier, in the beginning as well as you progress in the game. Here you will learn how you can easily transport your items. 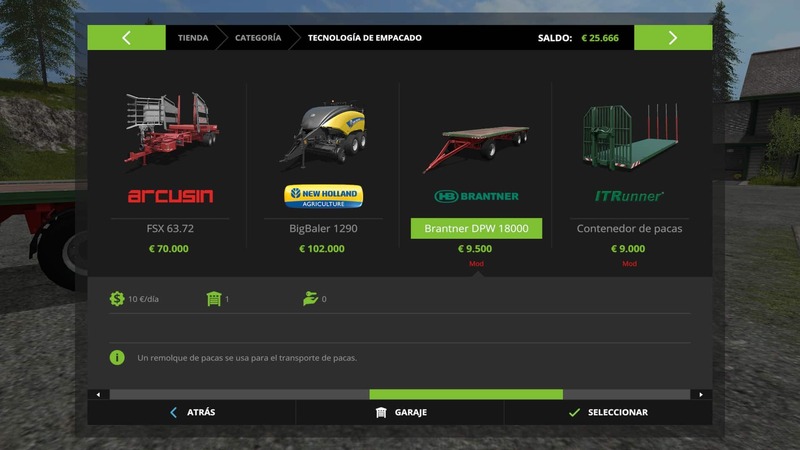 First Activate your Giant Mod in menu mod section called Brantner DPW 18000, enter the game and buy it. If you need more money you can complete some other secondary missions. If you control well your JCB and pallet forks you can load 2 pallets for strap. In total you can move 10 seed pallets. 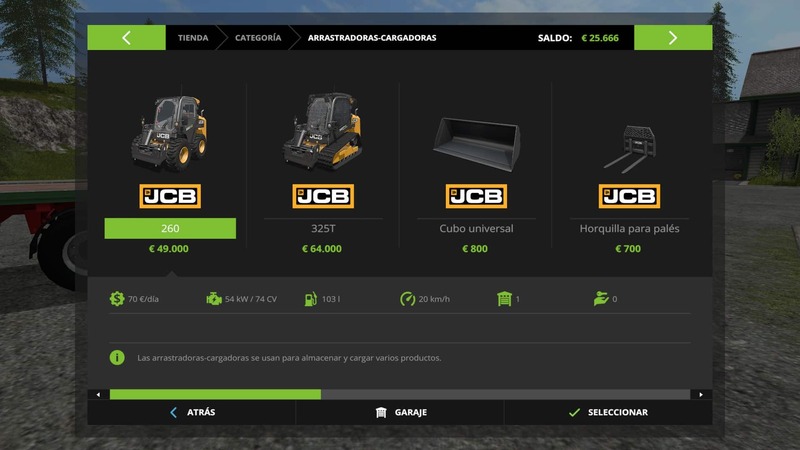 Instead of JCB you can get a front loader and get the attachment for your tracker to save even more money. Also, you can chuck one pallet in the bed of the pickup truck. You can fit two but the weight is so heavy it’s hard to drive if you use two. This method is especially helpful for loading the larger seeders and fertilizer spreaders that can have a capacity of 9,000 or even 20,000 liters. First look at the image given below, almost all the tippers are able to hold seed and solid fertilizer. Now get a frontloader attachment and pallet fork, first go to store and buying 10 pallets of solid fertilizer. Now pick up each pallet and dumped the contents into the tipper. Now you can see there is just about 10,000 liters of fertilizer in tipper. Now go to you farm and dump the contents of the tipper anywhere you would like. Using new dump anywhere feature in FS17 you can empty the contents of your trailer using “Left Ctrl + I”. Now whenever you want to load a seeder or fertilizer spreader you can use a frontloader bucket. This allows you to use the wheel loader bucket with its larger capacity rather than dumping each individual pallet. Only certain seeders can use fertilizer while sowing. You can see your sower has this option by looking at the picture below. Now all you have to do is load up your seeder or fertilizer spread with seeds and, or fertilizer and you can get to work.